Rootes’ engineers knew that the Imp chassis was capable of handling more power, and decided to work on a sporting variant. Using the existing all alloy ohc engine (tuned somewhat), and allying it to a pretty (Tim Fry, along with Bob Saward and Ron Wisdom, styled) body, the engineers stirred the pot to produce the Asp. Rootes approached Jensen Motors and asked them to study the feasibility of producing the Asp for them, at the rate of 500 units per week. 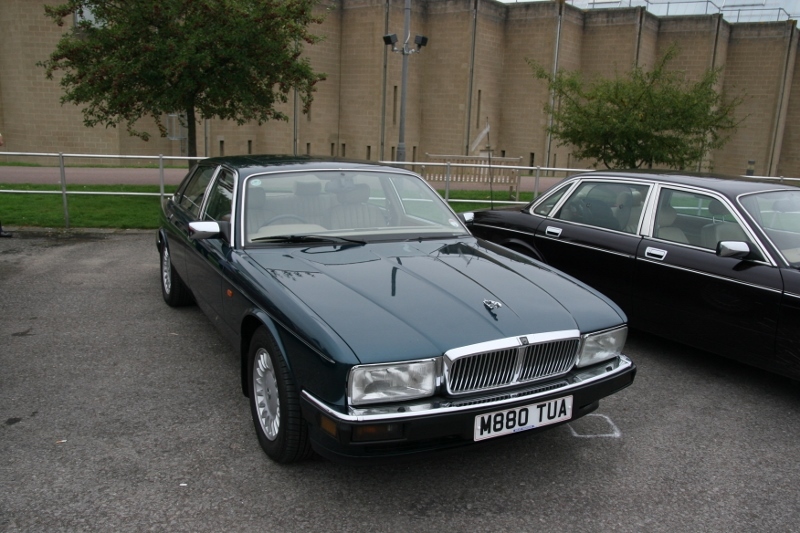 The plans would have centred around a steel bodied car, which would have used the standard 875cc engine, with the option of a more highly tuned 998cc variant. The car certainly had potential, and cannily, Rootes planned for the fall-back of glass fibre construction, had steel proved too costly. Sadly, the Asp project was dropped through lack of resources (this was at a time when Chrysler had yet to take a controlling stake in Rootes), allied to negative feedback from America… An ironic decision given the enormous number of MG Midgets and Austin-Healey Sprites BMC managed to shift Stateside. 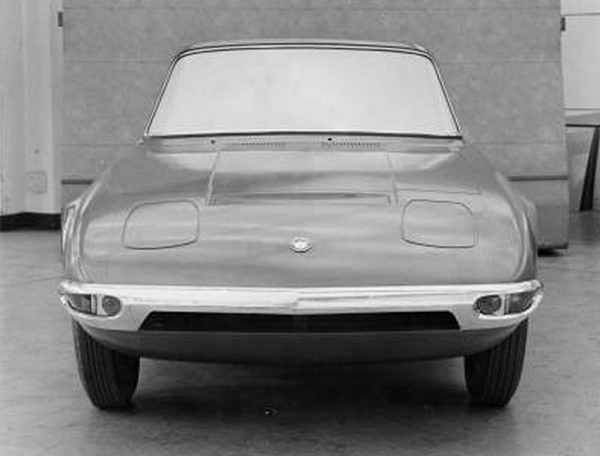 I see Gineta G15 meets Lotus Elan S1 – a pretty car, though. Given the negative publicity rear engined American cars were attracting in the states, once Americans gained control of Rootes, any rear engined projects were doomed. Even in Europe it was recognised that FWD was the future, VW was only saved by it’s water cooled front engine expertise brought in from NSU, Renault went front engined with the 4 and Fiat’s last rear engined car was the 127. The 126 was not a Polish car, it was originally designed and built in Italy. 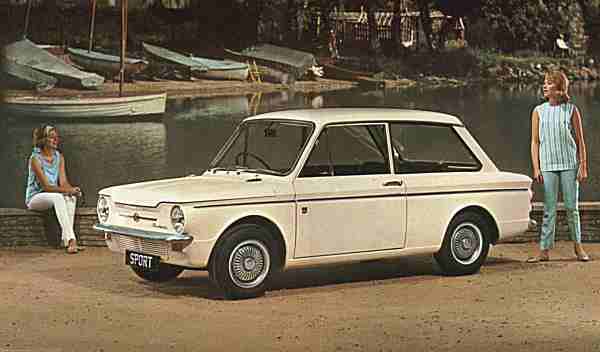 That it was also produced in Poland was part of Fiat’s excellent strategy to expand behind the iron curtain. The last 126 were built in Poland though and – very late in its life – also received a hatchback that was designed in Poland. And in a sports coupe like this, the layout of course lives on in the 911, but also survived for a long time in the French Alpine sports cars. The 133 was also rear engined, mostly a Seat creation but sold in some places as a Fiat. 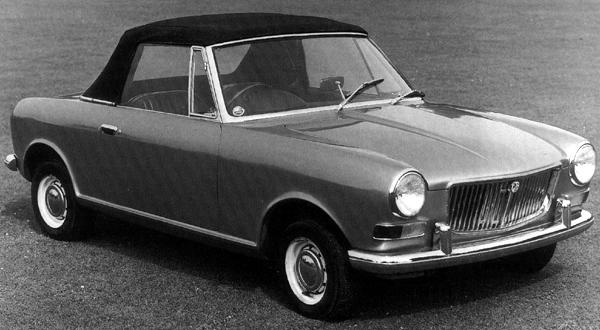 The Seat 133 was a model following the very popular Seat 850 (based on the Fiat 850 – the 500’s larger, rear engined sibling) in Spain. The yanks were dabbling with FWD then but they started at the wrong end of the market with the Toronado, the exact opposite of economical and practical. 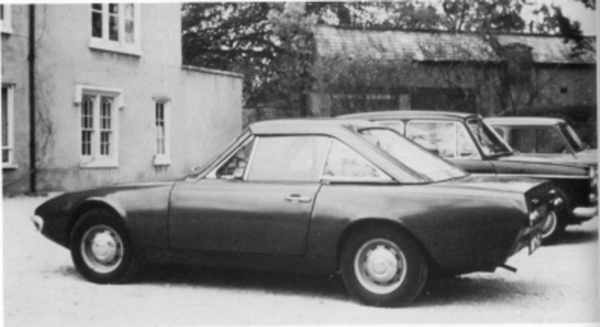 Wonder if this project was the reason why Rootes and Jensen both rejected an approach by TVR to develop the similar Imp-based TVR Tina? 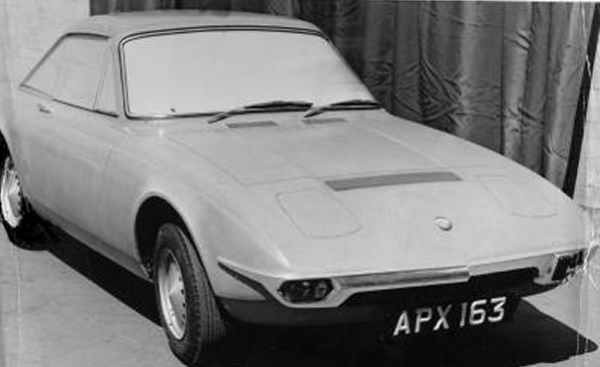 In the case of the TVR Tina, the proposed production models were to be fabricated out of fibreglass and bonded to the steel Imp subframe, yet not very practical it was believed a metal body would have been too heavy for the engine. If only Rootes were in a position to properly develop the Imp engine to make use of Linerless Alloy Blocks (along with taller blocks), allowing for increases in engine capacity beyond 998cc. Genetta managed to make quite a nice roadster using an Imp engine. Should this not end with the Clan Crusader of 1971, used to be one parked up near Canley Crematorium in Coventry for many years. Apparently with the experimental linerless 998cc engine, the Asp prototype had a top speed of around 105-106 mph. That is compared to the MG Midget 1275/1500 or the 1300/1500-engined Triumph Spitfire, which had a top speed of around 95-101 mph and 100-101 mph respectively. Everybody forgets the italian masterpiece that wasnt the fiat X1/9 ! It wasnt that bad, apart from rust. A friend had one and rain filled the doors with water, every corner the tide came in.